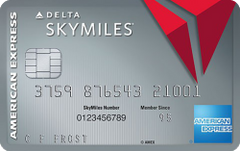 Delta’s Platinum credit card gives you a good boost toward elite status and good benefits on Delta, including an annual companion pass; however, if you are seeking airline lounge access, you may be better served by the Delta Reserve card. With its large sign-up bonus, fairly high rewards rate on both United purchases and general purchases and unlimited access to United Club lounges, the United MileagePlus Club Card is a good deal for loyal United flyers. This offer is no longer available on our site.